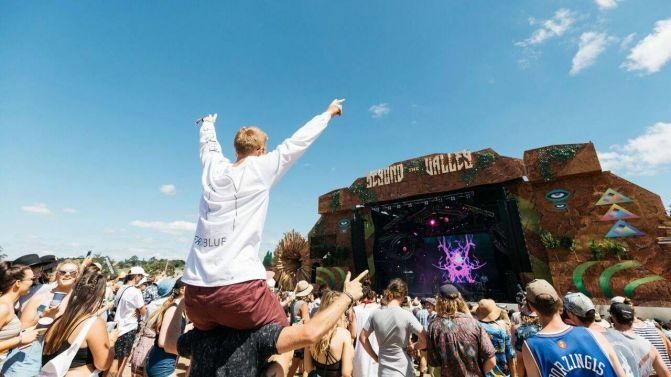 Victoria’s Beyond The Valley festival has just added yet another cherry on top of its already mouthwatering 2017 lineup. Melbourne indie rockers (and palette-jumping skaters) Slowly Slowly have been added to this year’s mega-stuffed bill, bagging the coveted triple j Unearthed slot off the back of some solid rotation for their latest single ‘Aliens’. It’ll see them warm-up the stage for the likes of PNAU, ScHoolboy Q, The Presets, Matt Corby, Stormzy, Mallrat and more at this year’s epic NYE-straddlin’ bash. ICYMI: Beyond The Valley 2017 will be held over four days in Lardner Park, Warragul (90 minutes-drive from Melbourne) this December. Catch the full lineup and all the ticket details, below.